To work with Darik directly in his network marketing business, click below to learn more. 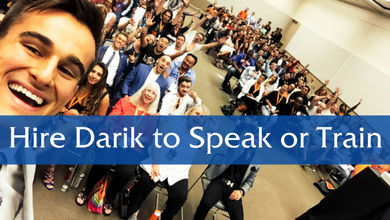 Want Darik to speak or deliver a keynote at your event, business or school? Click below to learn more.